Leadership in safety continues to be put on display as media points fingers at those at the top when reporting on failures in safety. What can leaders do to turn this around, not for media-sake but for their organizations’ benefit? 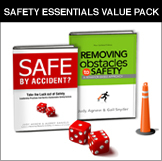 Read on for a look at various safety practices and programs and how they can effectively lead their organizations in matters of safety.